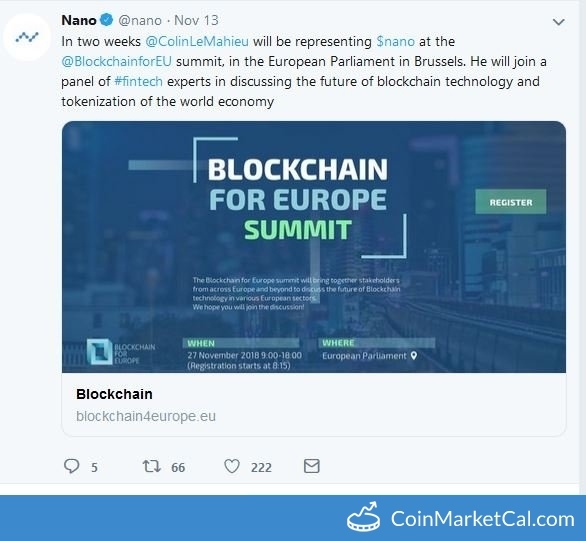 Nano (NANO) - Events, Price, Market Cap, Supply, Exchanges and more! 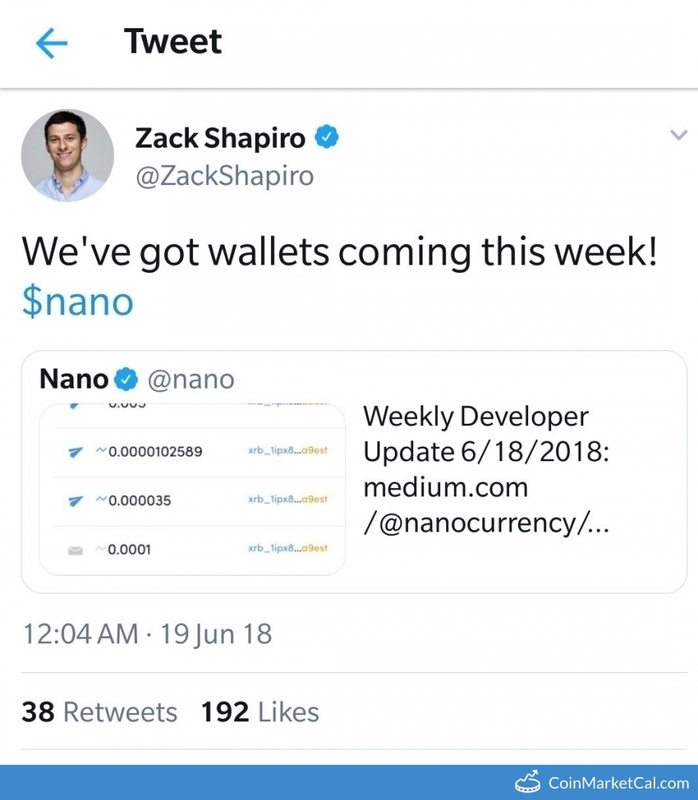 Nano (RaiBlocks before the rebranding) is a cryptocurrency designed for everyday use. 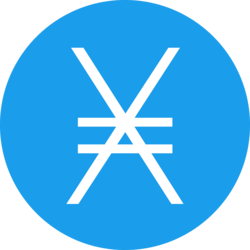 Peer-to-peer transactions on its blockchain are free, instant and scalable. 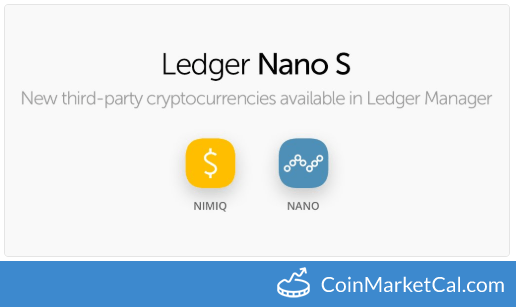 COBINHOOD lists NANO at 04:00 UTC+0. European Parliament - 27 November 2018 9:00-18:00 (Registration starts at 8:15). 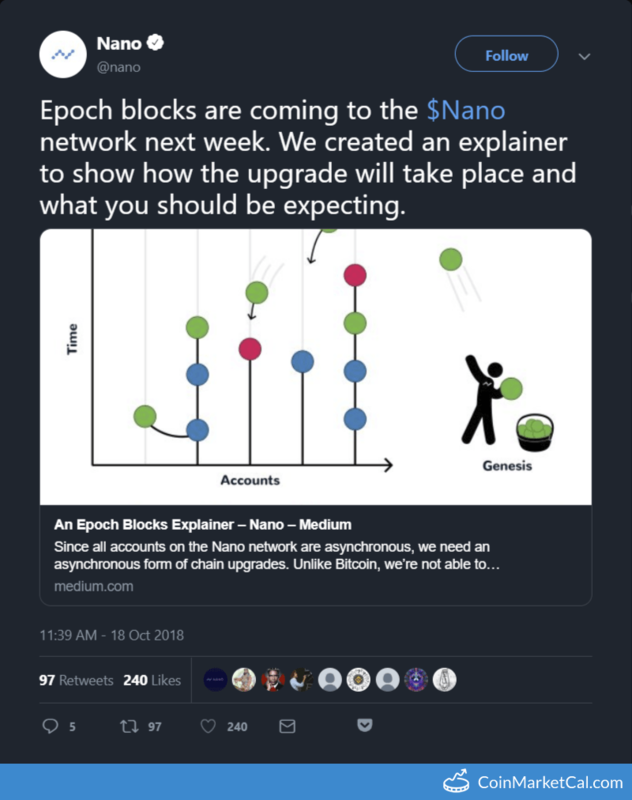 "Epoch blocks are coming to the $Nano network next week." 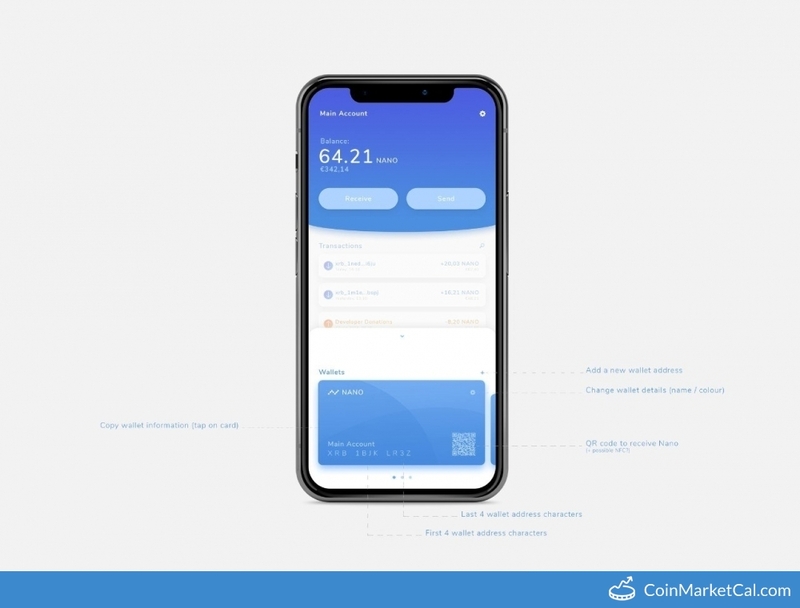 "..We will release a development update every Monday, so you will have a better look into where the project stands and where it is heading." 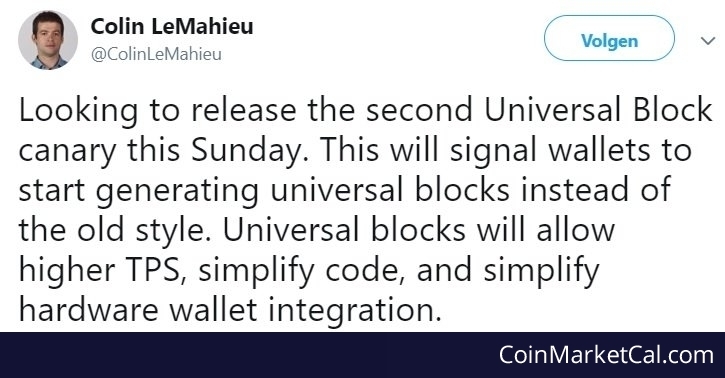 This will signal wallets to start generating universal blocks. Universal blocks will allow higher TPS, simplify code & hardware integration. 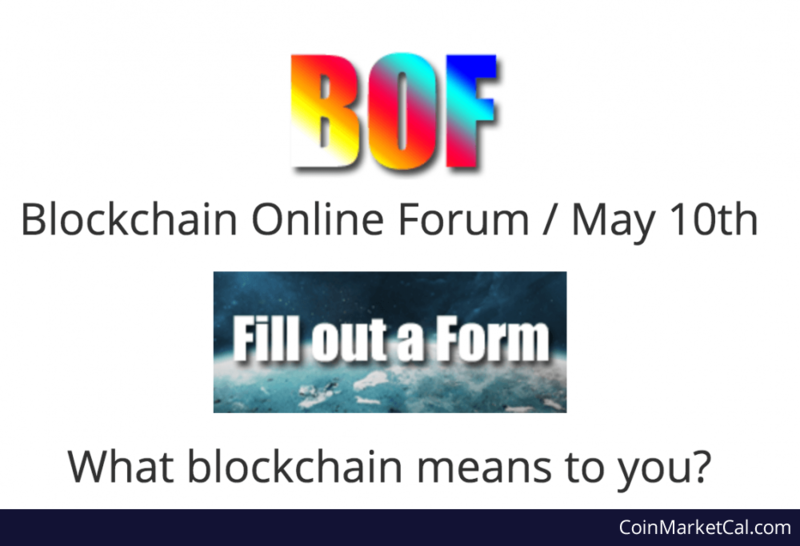 Colin LeMahieu, founder of Nano, to present at the Seoul Blockchain online forum on Thu, May 10th.